PEW started during 1974 in a small workshop of Electric Motors and Pumpsets. Right from the beginning, our motto being supply of Quality products at economical prices and faster deliveries. We are able to achieve the quality by procuring the important raw materials from Quality manufacturers. The process quality is maintained by processing all the components in-house in our well equipped manufacturing unit . Due to in-house process the quality is controlled at every stage which ensures quality of the final product. The faster delivery is achieved since we follow the Flexible Manufacturing System. 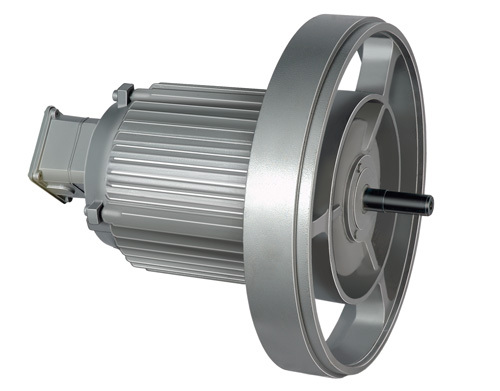 We can supply any standard and non-standard varieties of motors within a very short time. We slowly started expansion both horizontally and vertically by increasing the range and adding new products. We have gained enough expertise for manufacture of special motors and also import substitution motors like Flameproof ( FLP) Motors suitable for Gas Group I,IIA,IIB & IIC. Our range of manufactures include FLP and Non-FLP Motors suitable for Gas Groups I, IIA, IIB & IIC from frame sizes 63 to 280. Due to faster delivery and quality we have been registered with PSUs like ONGC, IOCL, BHEL, SAIL and BARC. We are registered with MSMED and are having certificates of ISO 9001-2008, BIS,CIMFR, PESO and DGMS. We also manufacture pumpsets suitable for various applications like Agriculture, Fire Fighting, De-watering and Sewage Pumps ranging from 0.5HP to 300HP. The range include Self Priming Pumpsets, Centrifugal Monoblock Pumpsets, Borewell and Openwell Submersible Pumpsets, Back Pull Out and End Section Pumpsets, Vertical Turbine and Multi Stage Multi Outlet Pumpsets. We also supply complete package systems like Hydropneumatic Systems, Fire Fighting Systems and Water Transfer Systems. 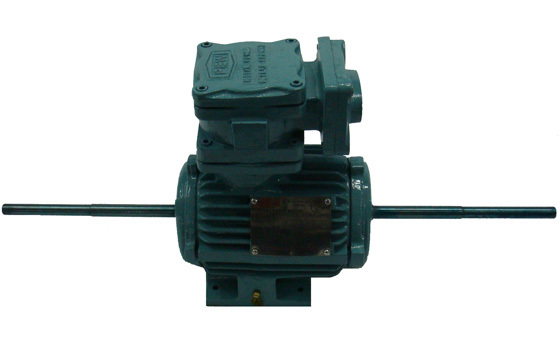 Brake Motors are used for various applications where instantaneous stopping of the driven load is required. The operation of the brake is "FAIL SAFE TYPE" i.e. normally ON. When the electrical power to the motor is cut–off or the power fails, the brake is applied. The electromagnetic brake is mounted on the non–driving end of the motor. DC brake motors are provided with a rectifier which provides the required DC voltage to the brake coil which in turn operates the brake. The supply to the rectifier is fed from any two terminals (between any two phases) in the main terminal box of the motor. General applications of Brake motors are printing machinery, textile machinery, rolling mills, cranes & hoists, material handling equipments, machine tools etc. 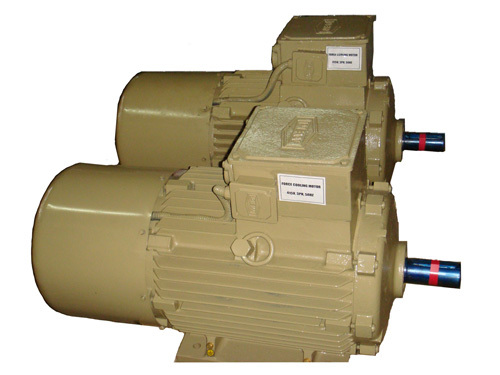 PEW manufactures TEFC three phase Torque motors with Type 'MT'. These motors are similar to standard induction motors but with a modified high resistance rotor design. The starting torque of these motors is maximum and it has almost linear torque speed characteristics with zero torque at synchronous speed. These motors are used in special applications like Roller Table motors, High speed tapping machines, clamping devices etc. 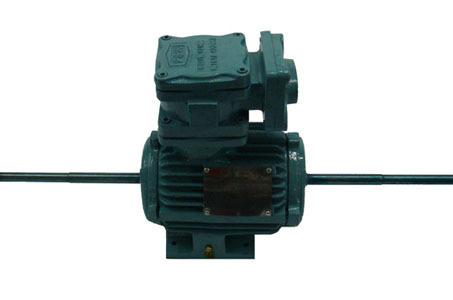 These motors can be offered in various types of mounting. PEW manufactures Low vibration motors for the machine tool industry. These motors are offered with vibration level up to Precision class C ( 0.28 mm/sec) or ( 5 microns peak to peak). 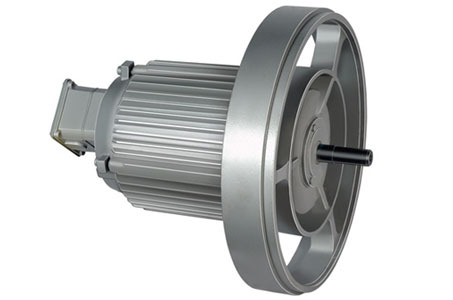 PEW manufactures multi speed motors for two or three distinct operational speeds by pole changing. These motors have a single winding for speed ratios of 1:2, for example: 1500 / 3000 rpm. 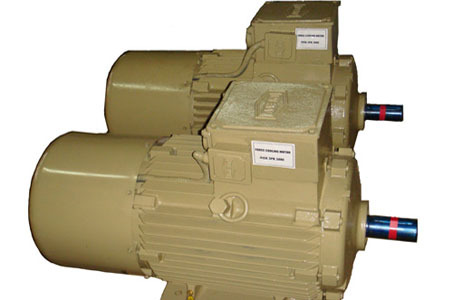 These motors are available upto 280 frame.